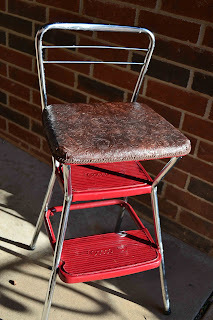 If any of you have been following our blog, you know that I absolutely ADORE the old Cosco Step Stool Chairs. Well, I finally finished my last Step Stool Chair for my daughter! Here is the finished product. Here is a picture before... I paid a $15 for this chair at a yard sale- I thought it was a little high, but it is in perfect shape! 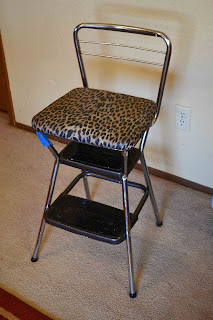 These chairs are SUPER easy to do! I just taped up the stainless and spray painted the steps red. 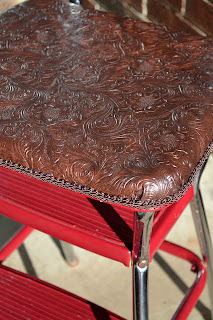 I used Rustoleum Spray Paint (it taked forever to dry, but it is WAY worth the wait). Then, I recovered the seat by using hot glue, vinyl tooled leather and trim. Now my Step Stools match each other! 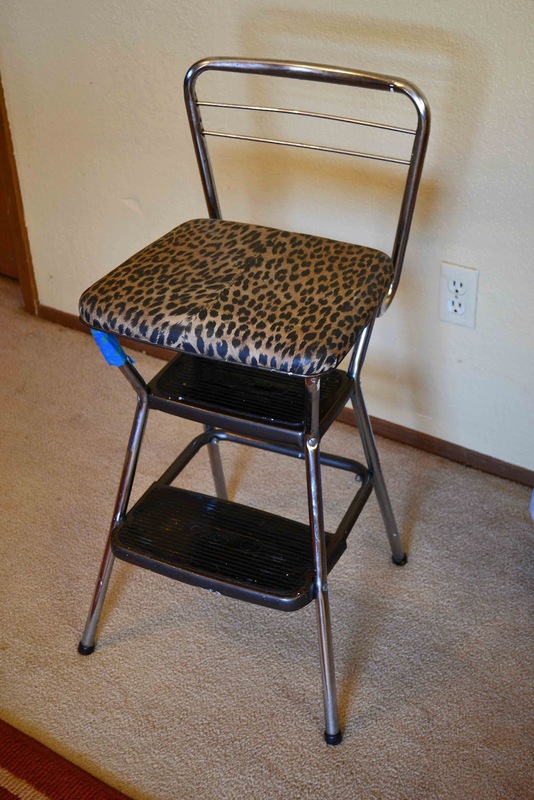 You can check out my other Step Stool Chair Makeovers by clicking HERE and HERE!